Indoor/outdoor carpeting is gaining in popularity. 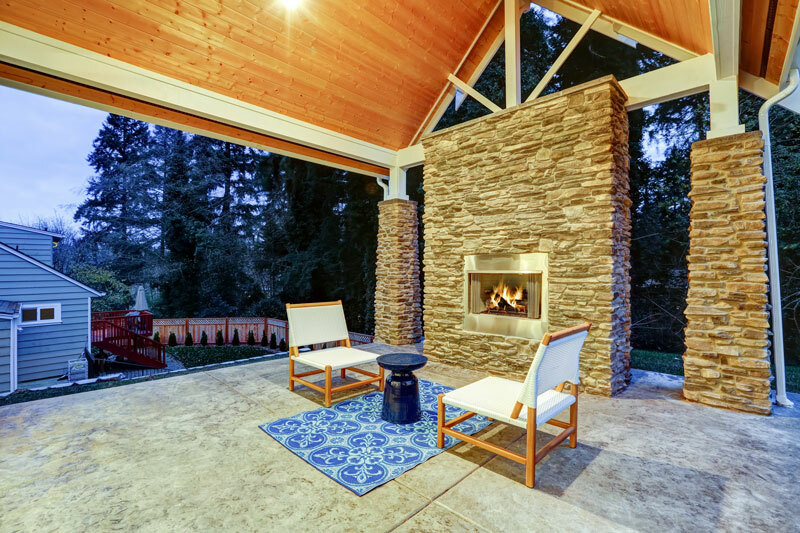 It can really add a touch of warmth to any outdoor area. Indoor/outdoor carpeting has taken on a whole new life over the past few years and most are totally care free. There are hundreds of different styles and colors of indoor/outdoor rugs to choose from. You may choose to use the first type of indoor/outdoor carpeting, which was like Astroturf, or dress your outdoor area up using something as classy as a Persian rug. As your choices of outdoor carpeting are many, your decisions can be overwhelming. As with most things, you get what you pay for. However, if you’re using the carpeting under cover you won’t need quite as much durability as you will one used outside. As with any carpet purchase, there are some basic things you’ll want to know, and some necessary questions you’ll want to ask. 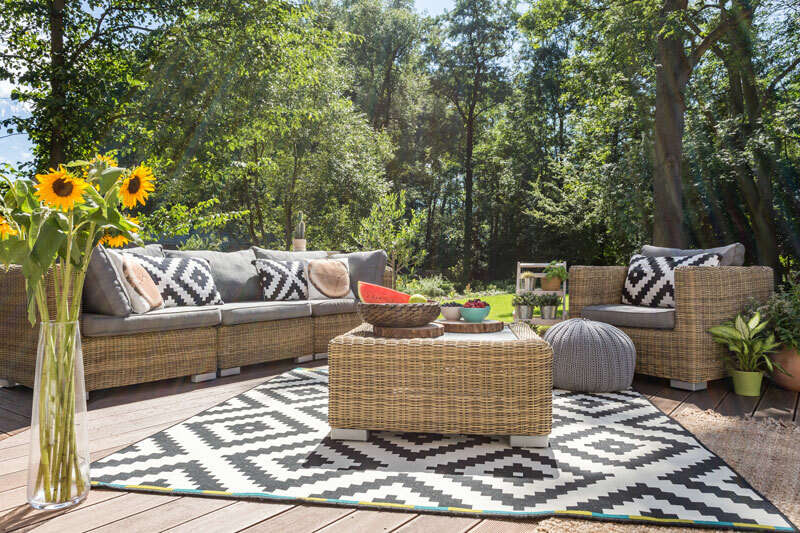 When making an outdoor rug purchase, ask to see the durability ratings –– ask what maintenance will be required. Can this rug be easily cleaned with a rinse from the hose? You’ll want to be able to clean up spills simply with water. Ask what type of weather conditions the rug will tolerate. If you will be using the rug under cover, such as in a covered porch, it won’t need the same sunlight resistance rating as a rug you’ll use in an outdoor area where it will be in strong sunlight all day. Ask if the carpet is made from polypropylene or olefin: these carpets will resist wear and staining and are superior in their ability to resist mold and mildew. 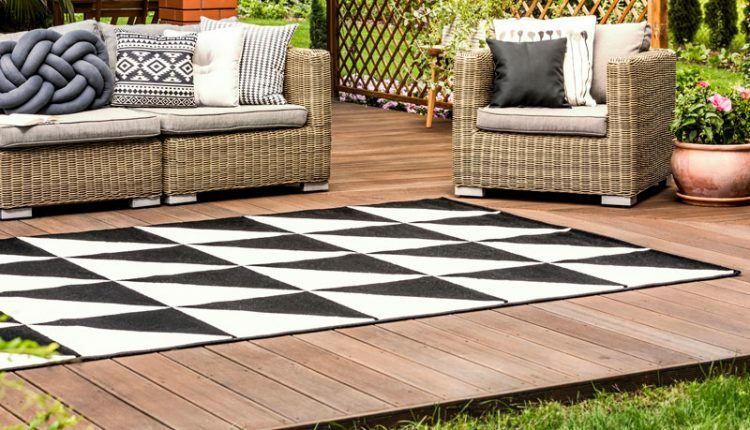 Outdoor rugs are now available in many styles and colors. You won’t be at a loss to coordinate colors and themes. 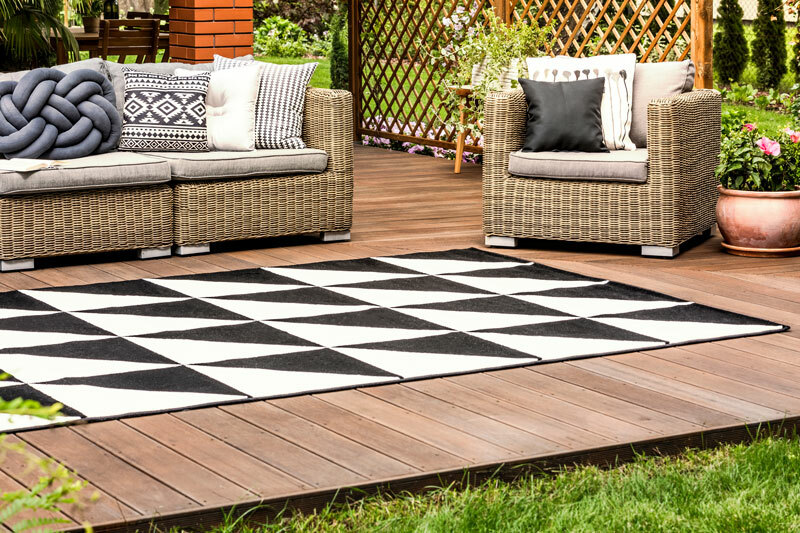 From the well-known turf carpeting to outdoor braided rugs, you’ll be able to find the perfect rug to complement your outdoor setting. While generally used outdoors, there are also some inside areas where durable indoor/outdoor carpeting can be a smart choice. Due to the fact they tolerate water and resist mold and mildew, a lot of homeowners use indoor/outdoor carpeting in basement areas. Due to the fact that they make the area durable and clean easily, some homeowners use indoor/outdoor carpeting in playrooms and areas where there will be a lot of kid traffic.